This is a large deciduous shrub for the cool climate garden. 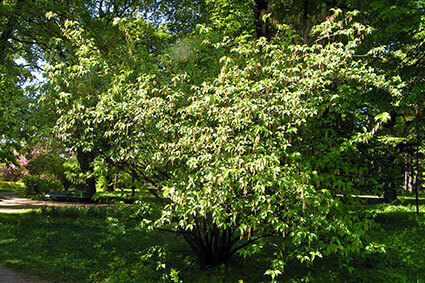 It has large lance-shaped leaves in spring and summer that turn red to bronze before they fall in late autumn. It was yellow, waxy chain flowers in late winter in milder areas. Rich, fertile mountain soils are best for this shrub. Loves the cold.